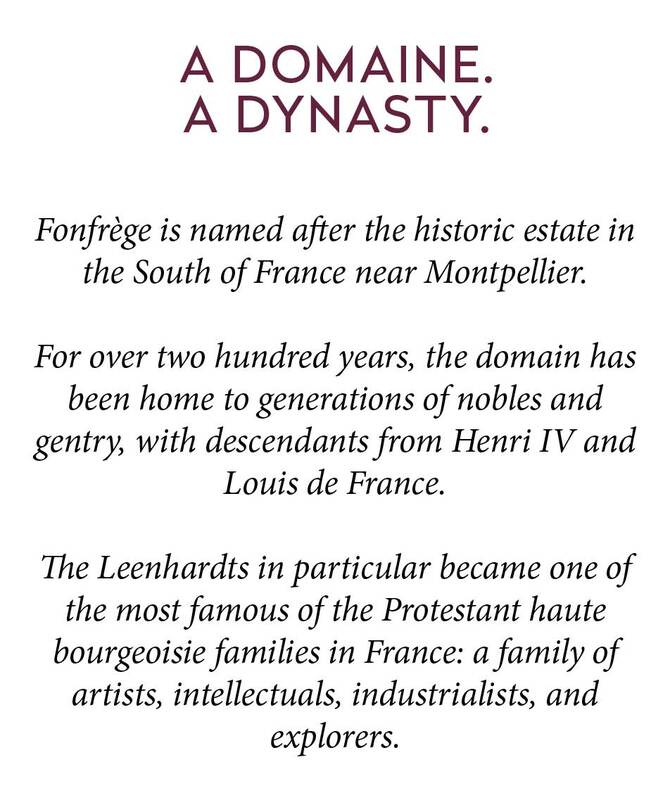 Fonfrège is named after the historic estate in the South of France near Montpellier. 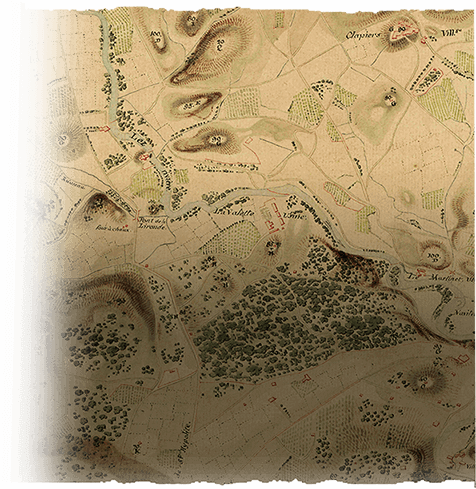 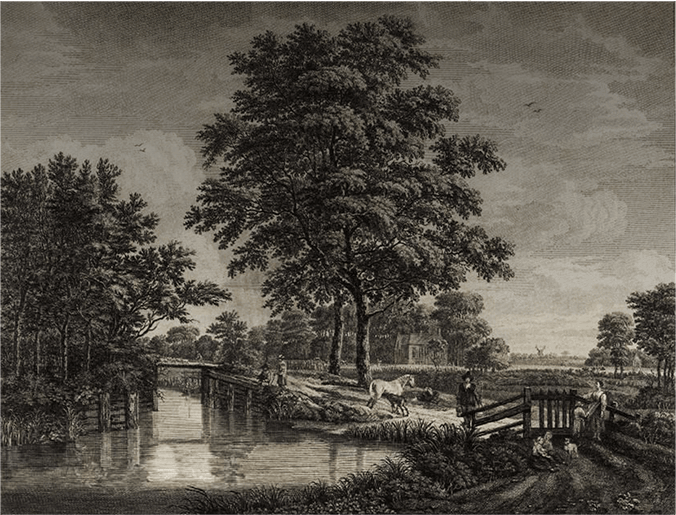 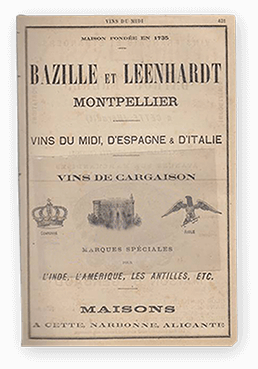 For over two hundred years, the domain has been home to generations of nobles and gentry: names like Castelnau, Imer, de France, Bazille, and Leenhardt. 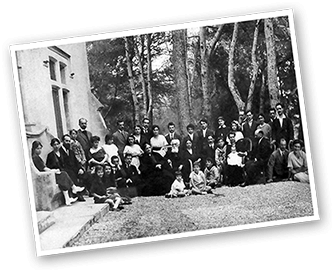 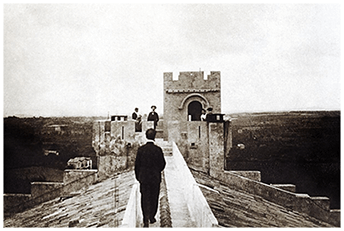 families in France: a family of artists, intellectuals, industrialists, and explorers. 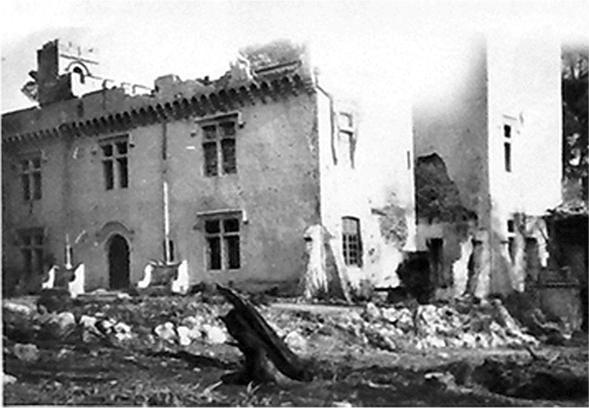 The ancient domain, known as Fonfrède since 1185, came into the storied family in 1791 when Monsieur André Méjan purchases it as his country estate outside of Montpellier. 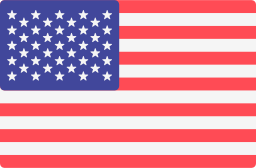 losing any of the entitlements of our status. 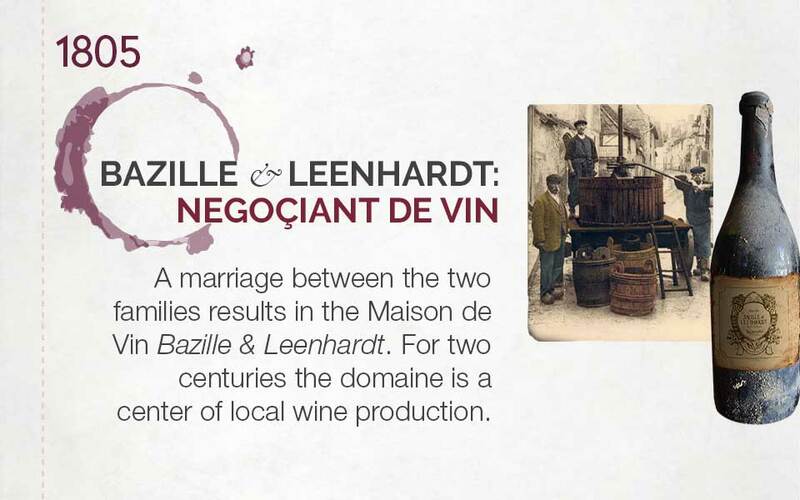 A marriage between the two families results in the Maison de Vin Bazille & Leenhardt. 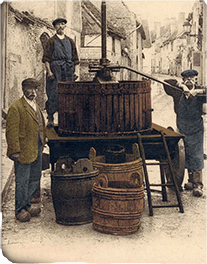 For two centuries the domaine is a center of local wine production. 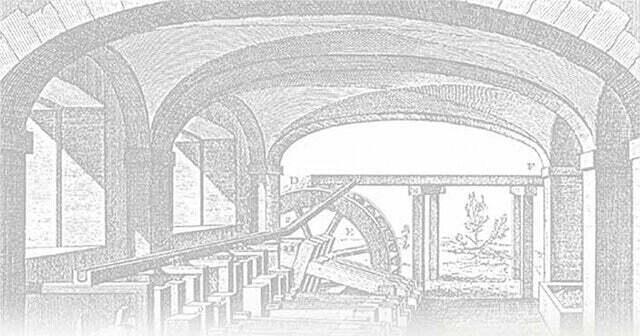 The domaine is the setting for yet another enterprise when Pierre Nicolas Leenhardt launches a textile mill on the river Lez, which flows through the estate. 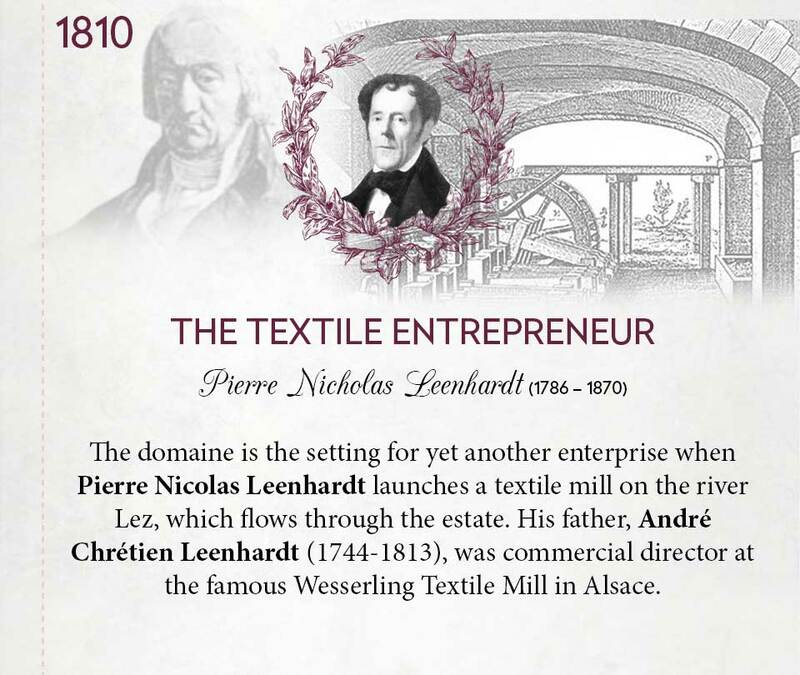 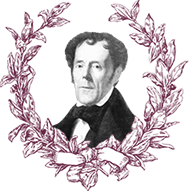 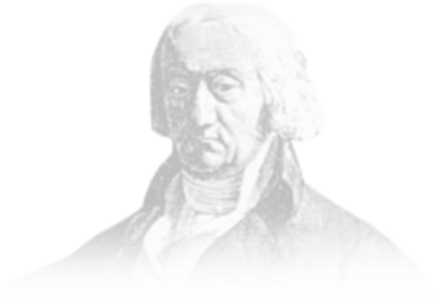 His father, André Chrétien Leenhardt (1744-1813), was commercial director at the famous Wesserling Textile Mill in Alsace. 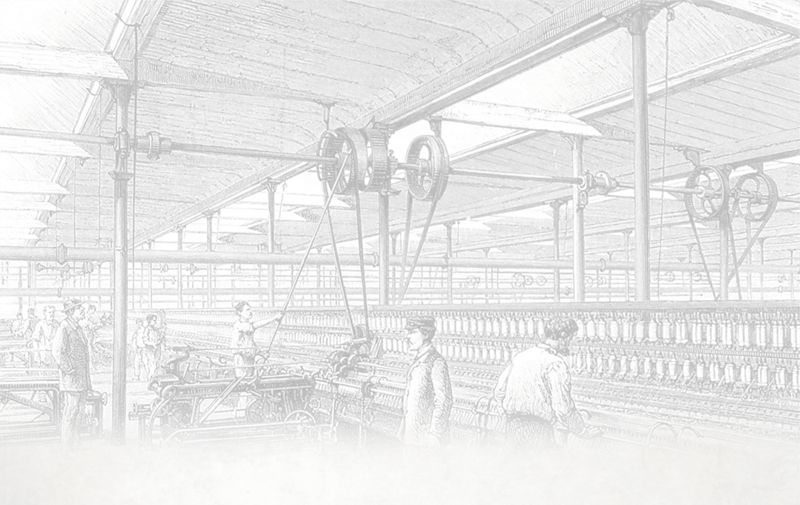 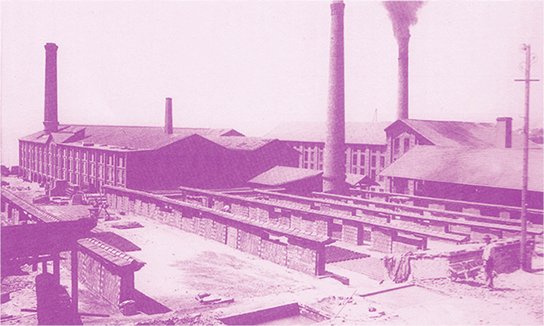 The mill is the first of several textile production companies run by the Leenhardt families. 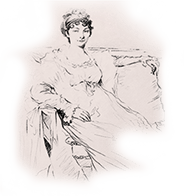 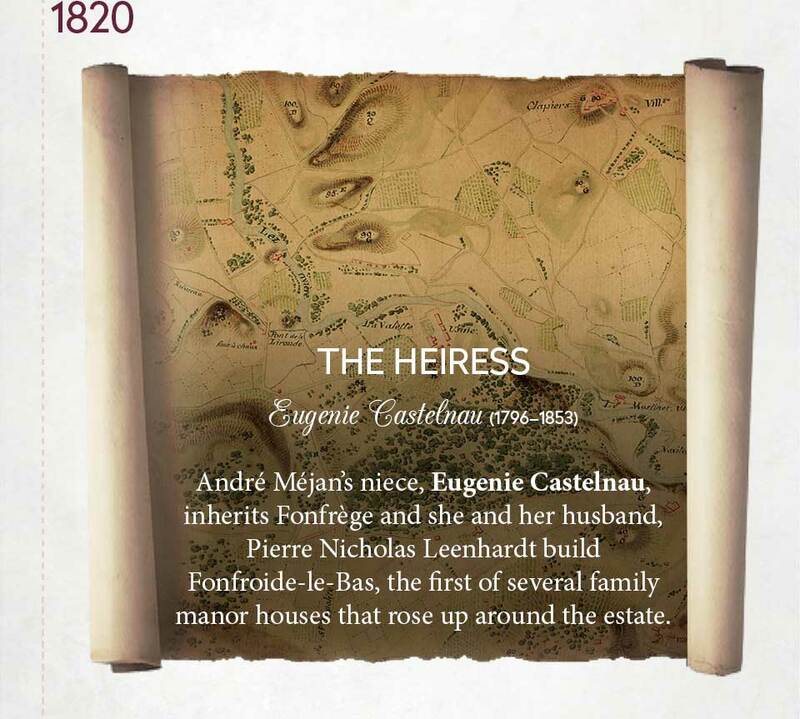 André Méjan’s niece, Eugenie Castelnau, inherits Fonfrège and she and her husband, Pierre Nicholas Leenhardt build Fonfroide-le-Bas, the first of several family manor houses that rose up around the estate. 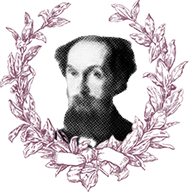 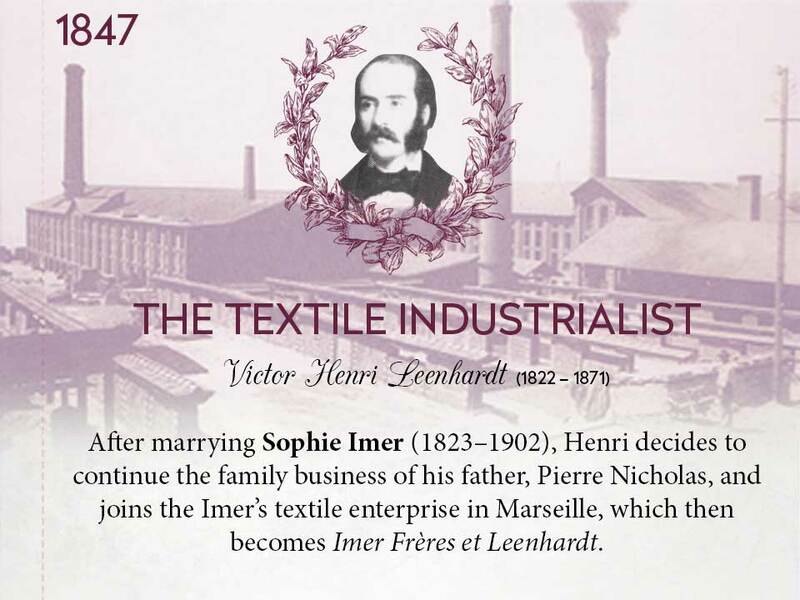 After marrying Sophie Imer (1823–1902), Henri decides to continue the family business of his father, Pierre Nicholas, and joins the Imer’s textile enterprise in Marseille, which then becomes Imer Frères et Leenhardt. 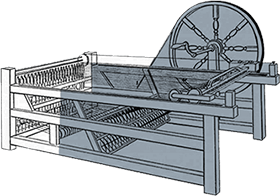 Imer Frères et Leenhardt enjoys great success with its tissu indienne, a machine-made printed fabric. 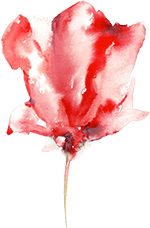 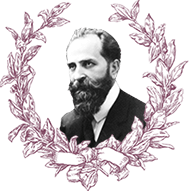 Meanwhile, Henri Leenhardt engineers a new process for chemically reproducing the color red without the time-consuming plant distillation process. 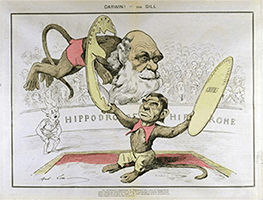 not for amusement; for transfiguration, not for the sake of play. 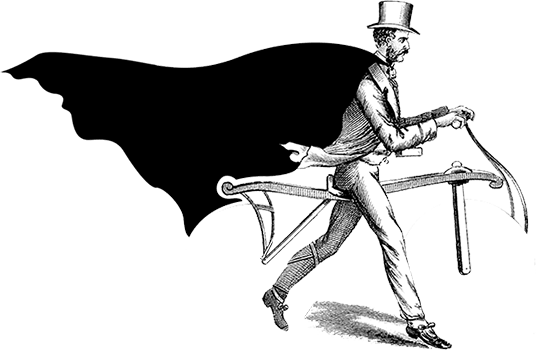 It is the quest of our Self that drives us along the eternal and never ending journey we must all make. 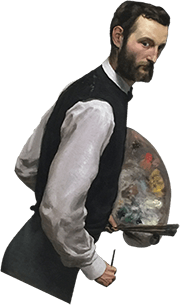 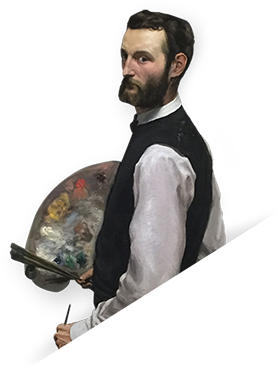 Frederic Bazille is the most celebrated of all of the artists in the family, but he had relatively little time to earn his laurels before dying tragically in a war battle at the age of 29. 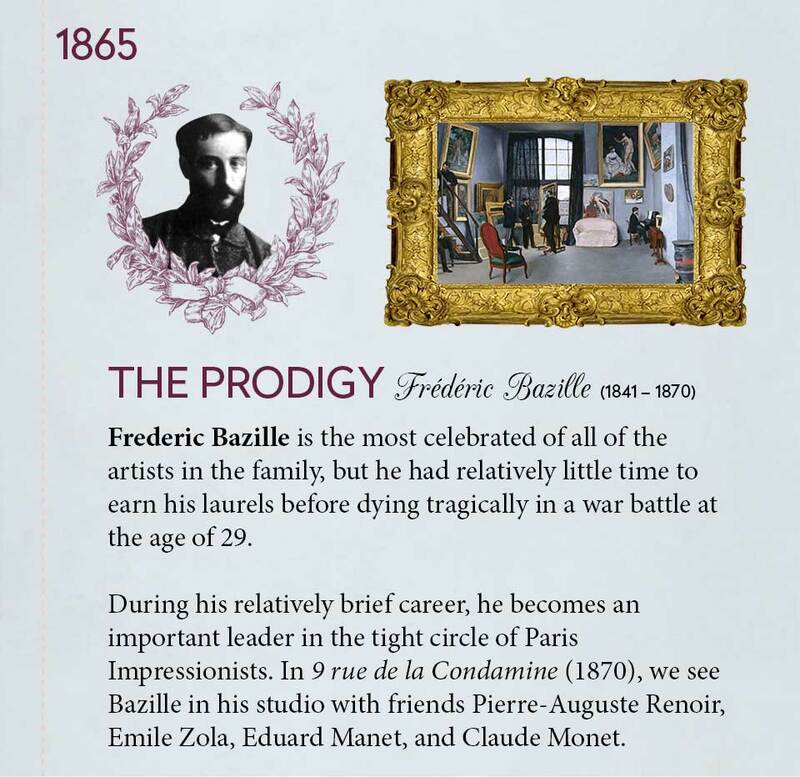 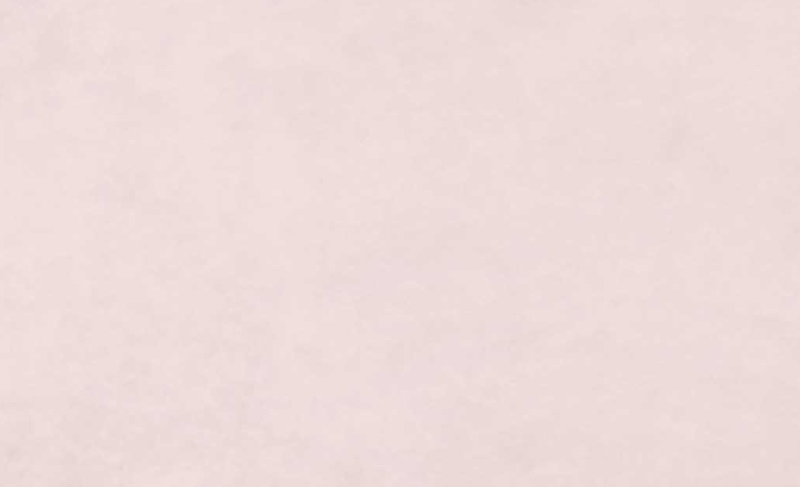 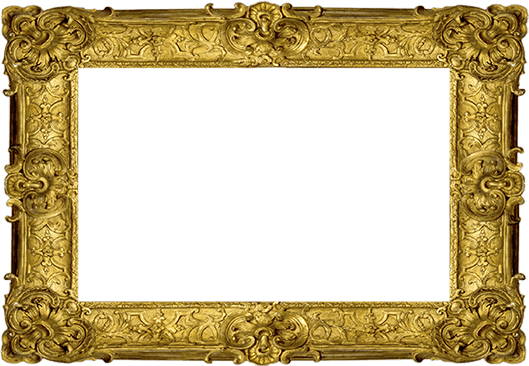 During his relatively brief career, he becomes an important leader in the tight circle of Paris Impressionists. 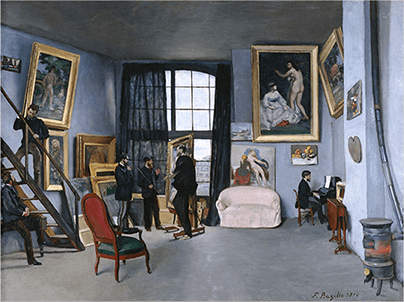 In 9 rue de la Condamine (1870), we see Bazille in his studio with friends Pierre-Auguste Renoir, Emile Zola, Eduard Manet, and Claude Monet. 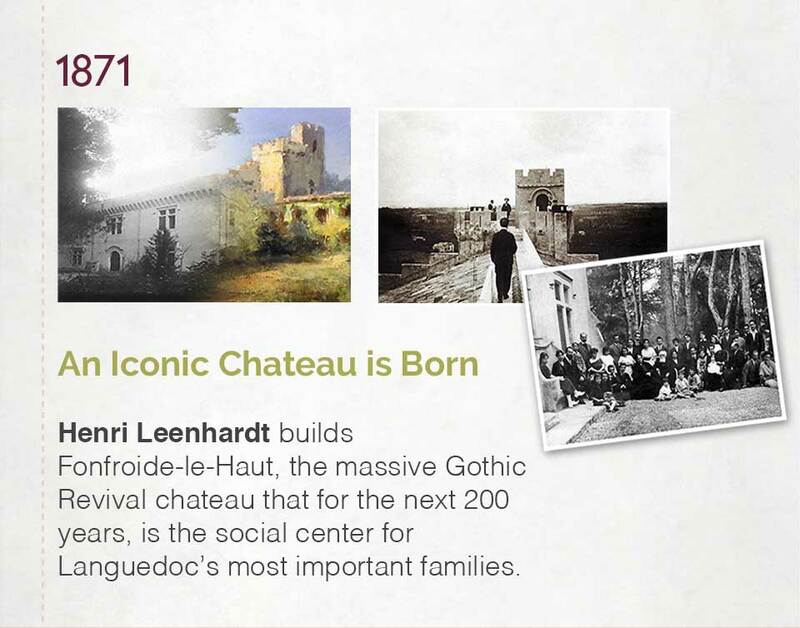 Henri Leenhardt builds Fonfroide-le-Haut, the massive Gothic Revival chateau that for the next 200 years, is the social center for Languedoc’s most important families. 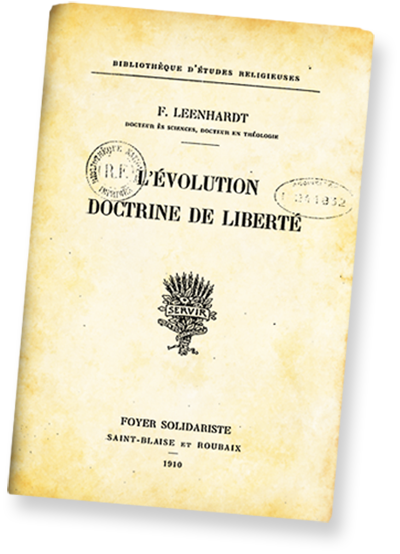 Scientist and theologian Franz Leenhardt dedicates much of his life to bridging the divide between theology and science. 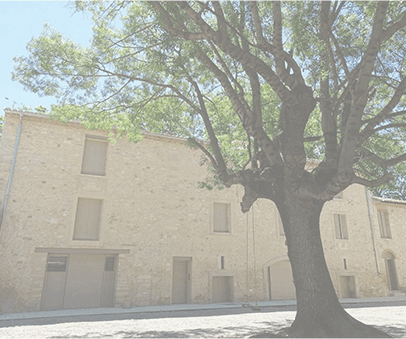 He makes extensive studies of prehistoric life throughout the Mediterranean, and notably charts the paleontological history of the famous Mont Ventoux near Montpellier. 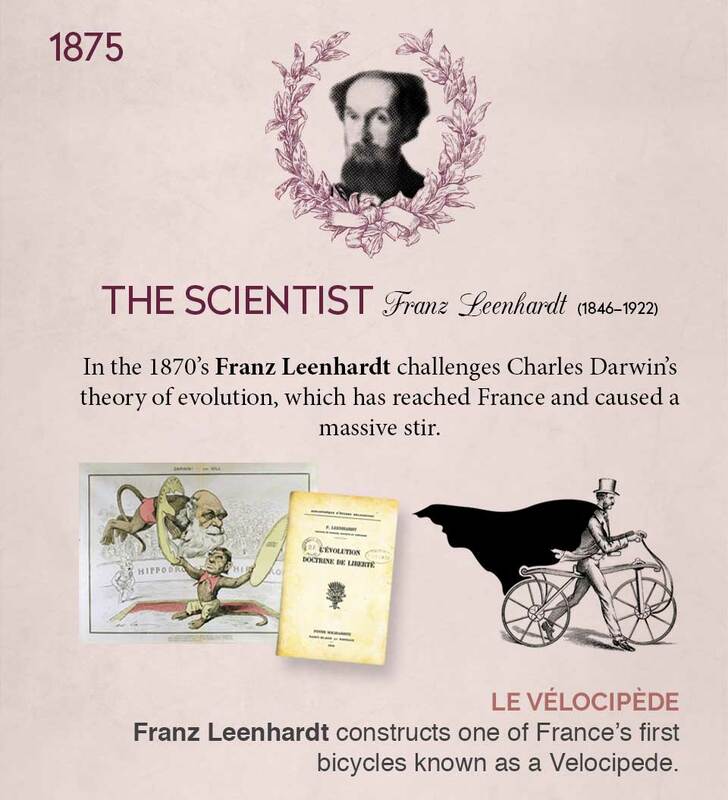 In the 1870’s he challenges Charles Darwin’s theory of evolution, which has reached France and caused a massive stir. 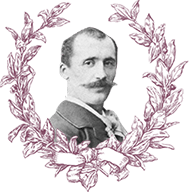 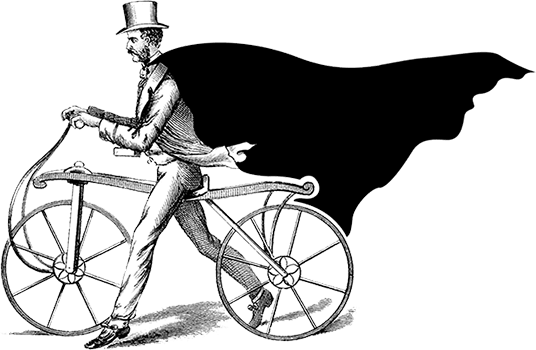 Franz Leenhardt constructs one of France's first bicycles (known as a Velocipede) which he rides around Montpellier, his long, black cape flying up behind him. 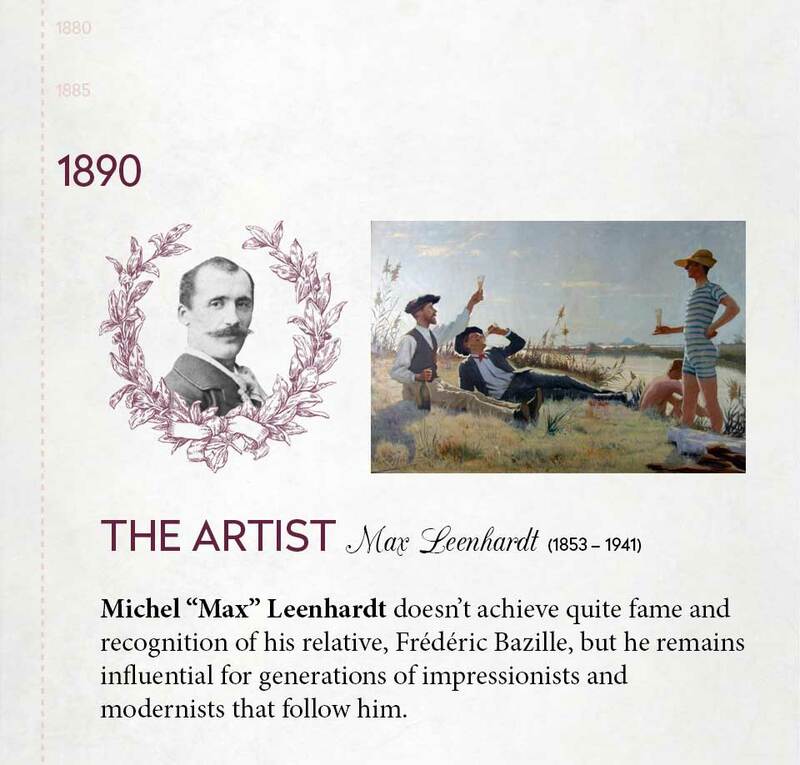 Michel “Max” Leenhardt doesn’t achieve quite fame and recognition of his relative, Frédéric Bazille, but he remains influential for generations of impressionists and modernists that follow him. 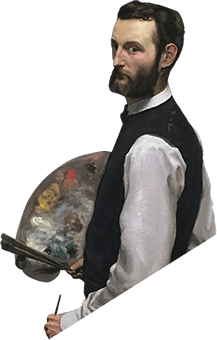 His plein air style of painting eventually leads to deeply religious work, reflecting his turn to God after the tragic death of his wife. 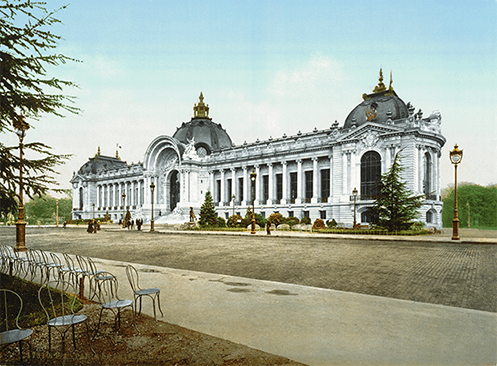 In Paris, Max is one of a dozen artists invited to create spectacular murals for the Train Bleu restaurant at the Gare de Lyon. 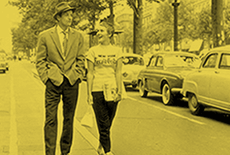 The restaurant is now an official city landmark. 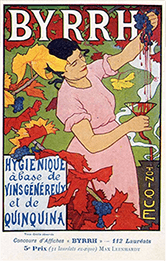 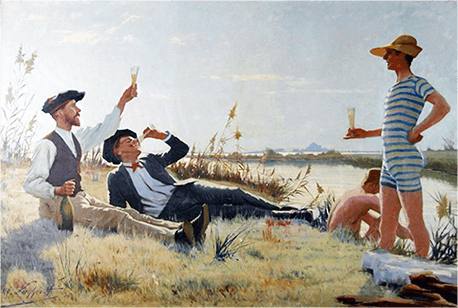 Max also created some commercial works such as this poster for the aperitif Byrrh, which was produced in the region. 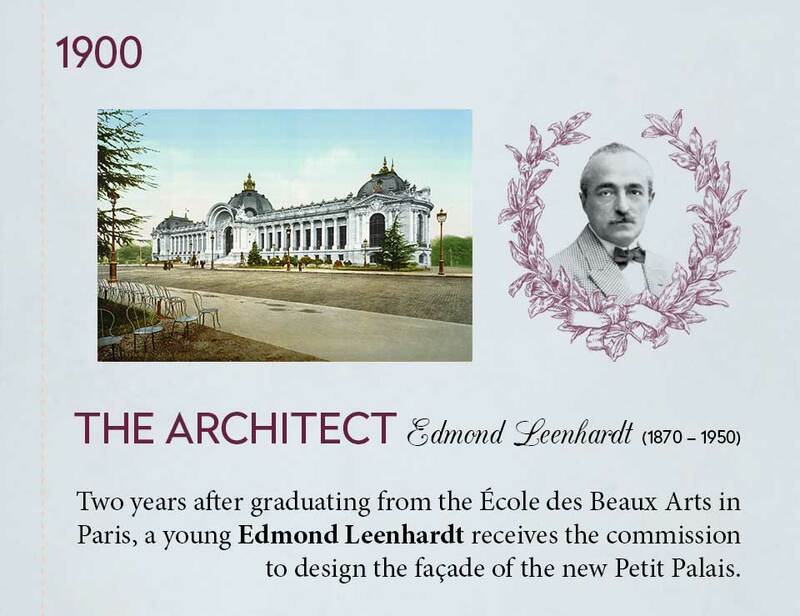 Two years after graduating from the École des Beaux Arts in Paris, a young Edmond Leenhardt receives the commission to design the façade of the new Petit Palais. 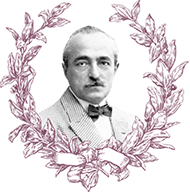 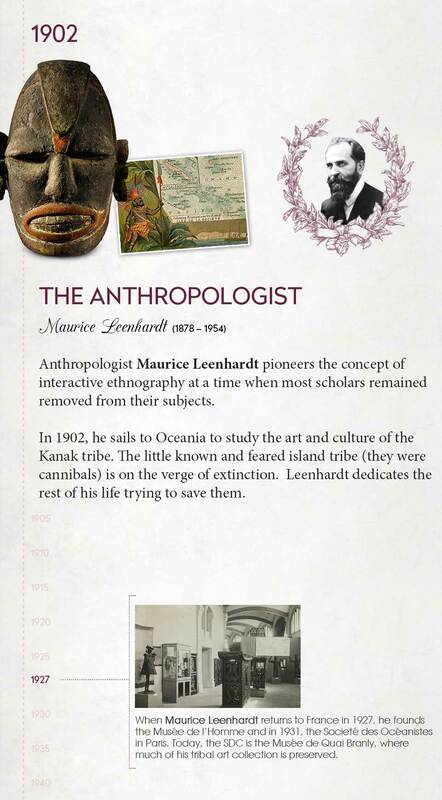 Anthropologist Maurice Leenhardt pioneers the concept of interactive ethnography at a time when most scholars remained removed from their subjects. 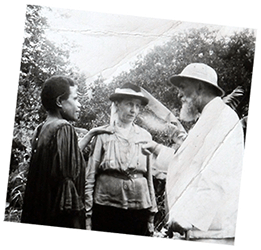 In 1902, he sails to Oceania to study the art and culture of the Kanak tribe. 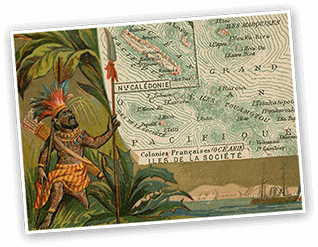 The little known and feared island tribe (they were cannibals) is on the verge of extinction. 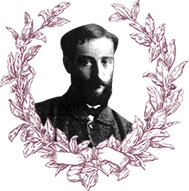 Leenhardt dedicates the rest of his life trying to save them. 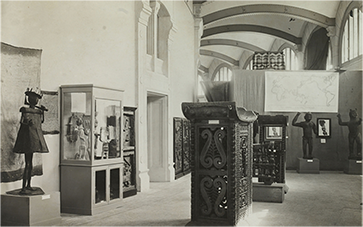 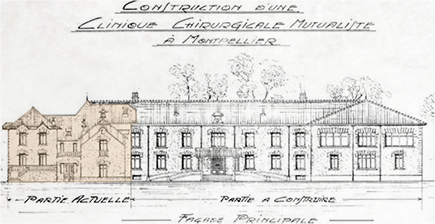 When Maurice Leenhardt returns to France in 1927, he founds the Musée de l’Homme and in 1931, the Societé des Océanistes in Paris. 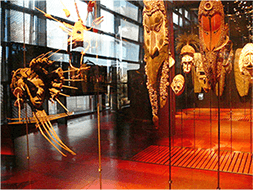 Today, the SDC is the Musée de Quai Branly, where much of his tribal art collection is preserved. 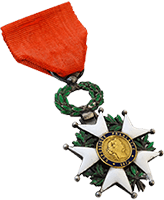 Architect Edmond Leenhardt is awarded the Chevalier de la Legion d’Honneur for his remarkable contributions to the city of Montpellier. 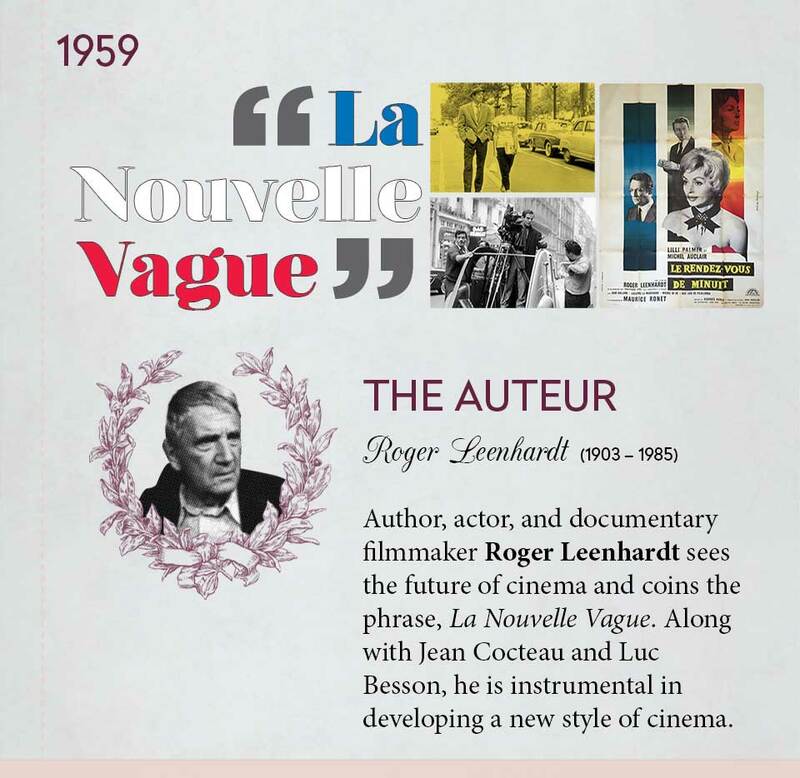 Author, actor, and documentary filmmaker Roger Leenhardt sees the future of cinema and coins the phrase, La Nouvelle Vague. 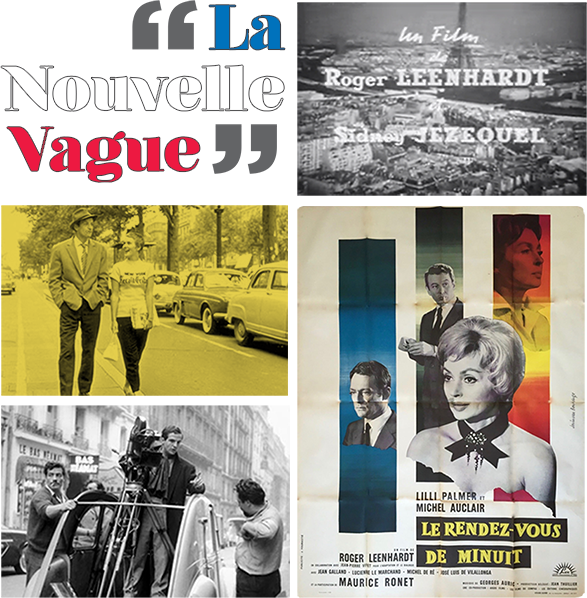 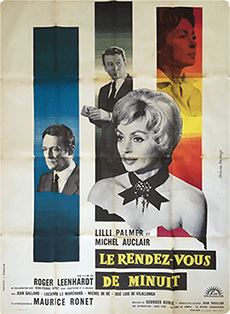 Along with Jean Cocteau and Luc Besson, he is instrumental in developing a new style of cinema, championing the likes of François Truffaut, Jean-Luc Godard, and Jacques Demy. 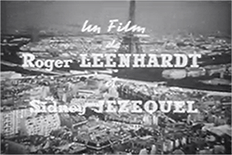 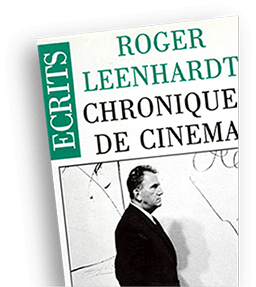 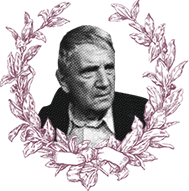 His critical writings about film inspire André Bazin to launch the seminal magazine, Cahiers du Cinétma, for which Leenhardt frequently writes. 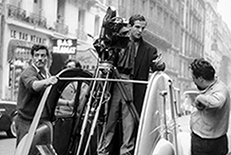 The filmmakers goal is to deliver this raw material of a scene, a production, and give the impression that it is not a scene at all. 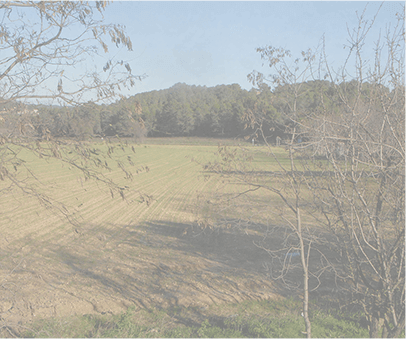 Fonfrège begins cultivating lavender for the fragrance industry. 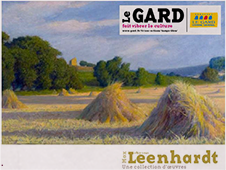 Nearly 40 years after his death, artist Max Leenhardt is rediscovered, thanks to a major retrospective of his work at the Musée Fabre in Montpellier. 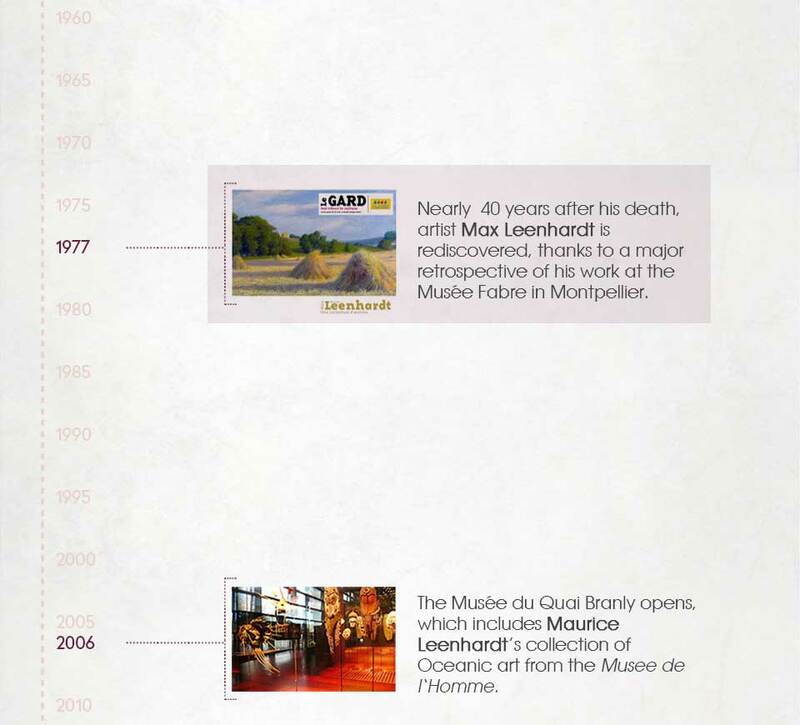 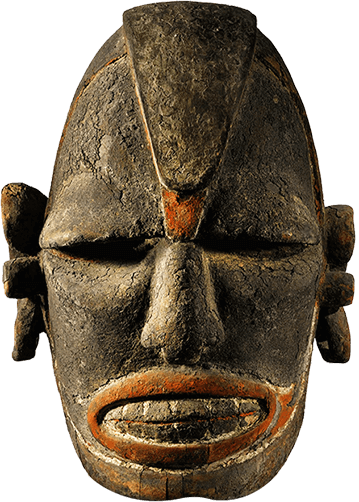 The Musée du Quai Branly opens, which includes Maurice Leenhardt’s collection of Oceanic art from the Musee de l‘Homme. 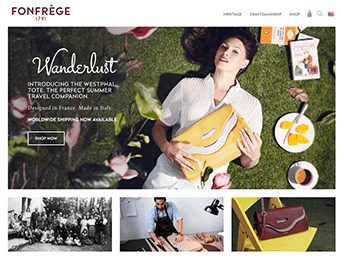 Bertrand Pellegrin, sixth generation descendant of the Leenhardt family, is compelled to carry on the story of domaine Fonfrège and together with partner Brian Valmonte, they begin developing a line of fine leather goods inspired by the remarkable people who lived on the estate. 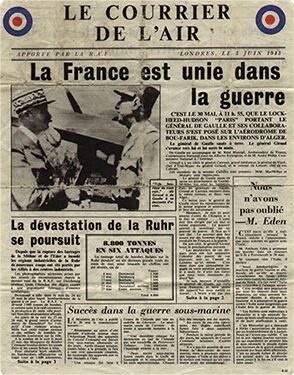 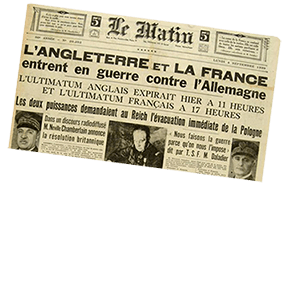 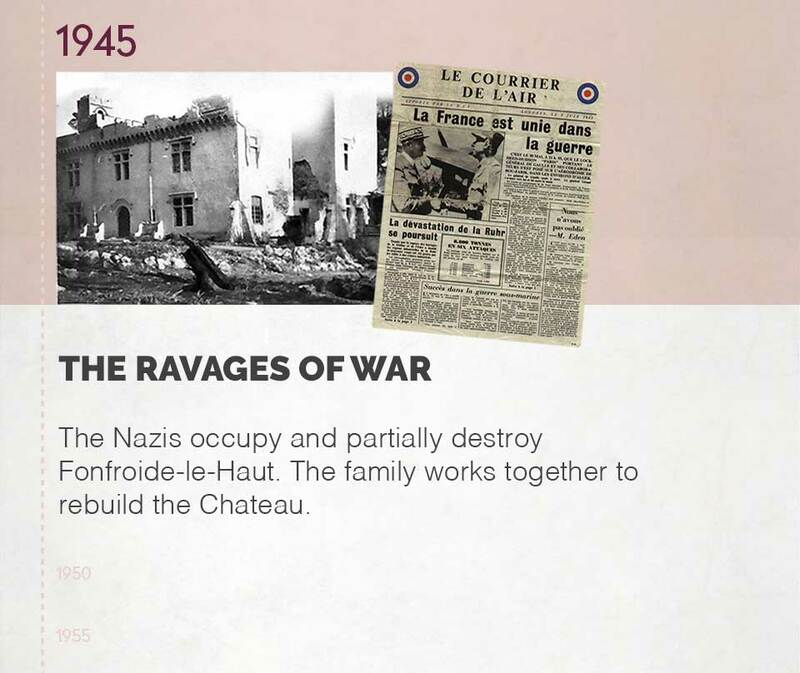 They establish Fonfrège SAS. 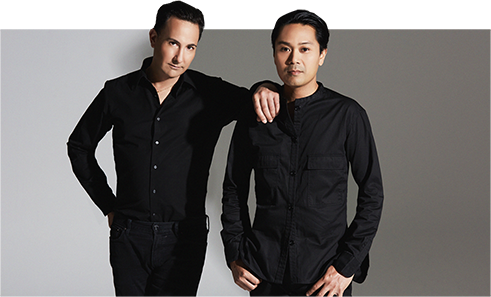 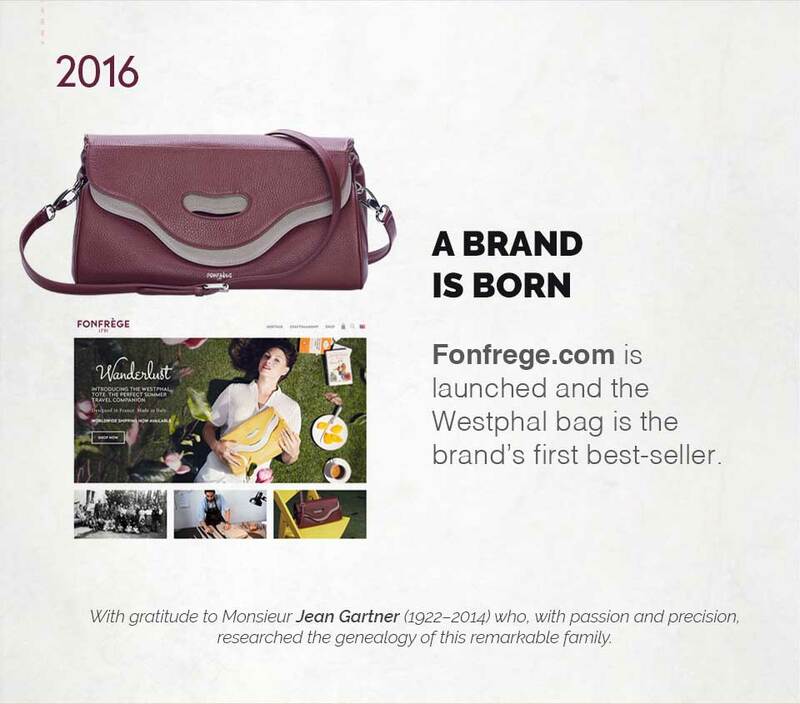 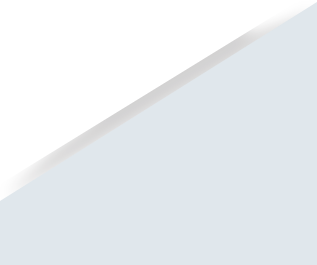 Fonfrege.com is launched and the Westphal bag is the brand’s first best-seller. 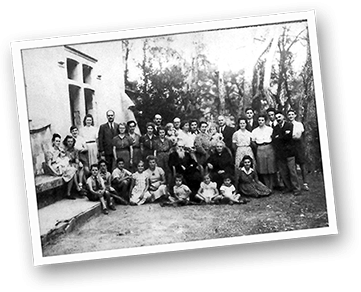 precision, researched the genealogy of this remarkable family.